After selection, you will be redirected to page to check the amount you need to pay to post your Ad. We have made everything transparent. You can see price calcultor at the top of page. Just below the calculator, there is an pictorial representation of all the available categories on TapUAE. But before going further, you need to Login first. Please select the related category of the product you want to sell via TapUAE. On hovering over category, you can see sub categories, Please select sub category and you will goto the form to put the detailed information of your product. Please fill the form carefully and be sure about the category in which you are psoting your ad. For fast selling of ad, you need to post in correct category. All the * marked fields are mandatory to be filled. If not then you wont be able to post your listing. On the completion of form filling, you need to agree TapUAe terms and conditions. Once you select it, you can go further. If you category falls under paid section, then you will be redirected to curreny selction page. Otherwise justwait for our approval for your ad. A good Ad always attracts buyers for you quickly. It need to be crisp, simple & complete! Ads which do not have clear description about product, does not attract desired response. Category: Choose an appropriate category for the item or service you are offering. The category may get changed automatically if not found suitable. Price: The price should correspond to the market pricing and reflect the actual product condition. - How long has it has been used? What is its condition? - Is there anything else you have for that product? - What all services do you provide. - Exact location of the product or service. - The condition, make and design, quality, purchase date, missing pieces, color, ownership. - Try to give as much as you have for your product or service. Photos: Pictures says thousand words, Ads with photos significantly attract users. Video: Pictures says thousand words like wise video says millions. 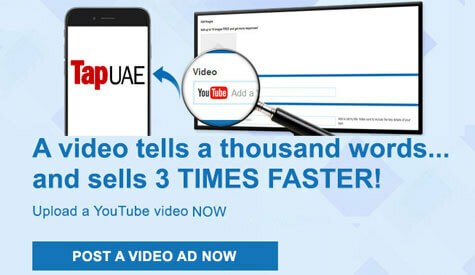 You can even post Youtube video to your ads. Select premium category and post video of your product. Title: Title of an ad need to be clear and should mention the make or model of product for fast searching and selling. All the paid listings comes with a TAG on your Ad "FEATURED". This gives buyer a confidence in your listed ad, in return your ad gets sold faster. This tag is time bound, on the basis of the package you seleted, it remains on your listing. Please Click here for detailed information about no. of featured days. You can post your ads in free once, but you can repost if it get expired. Multiple Posting of same ad in free can lead to suspension of your account. Where has my ad gone? Live Ads: Your live ads must be listed in the category you selected while publishing. Please click in the menu and try to search your ad with your ad title. If you are still unable to locate your ad, please goto dashboard and you will see you ad in "My Ads". Saved Ads: All the saved ads for future publishing is listed under "Pending Ads" of dashboard. For quick sale of your product, you need to post it under correct category. We have listed all our sub categories in detail. Please click below links to get detailed lsit of each category. How to remove my ad as sold? Please goto My Ads in dashboard. Click on sold button in black, to notify that your product has been sold. Now, click on delete button in red, you ad will be removed from TapUAE listings. There are several ways you can edit your posted ad. Expired Ads, Pending Ads and Active Ads has the functionality to edit ad. You need to click blue button and it will take you to the edit form of the related ad. You can do required modification there. You will not be able to change category and sub category of ad. How to use my free booster? Goto Dashboard and navigate to "My Ads"
There is a green button which shows the available number of boost for a particular ad. The moment you press that button, you ad will boost to top the list. Once your ad booster gets over, you need to buy it again. You can see this function on the detailed page of every ad listed on TapUAE. You can givethe desired time to see the product. Once you submit the form, seller will get notified about it and will contact you with his availability. How to contact seller through email? Every ad postcard has the facility to contact seller through email. You just need to press "Email" which will open a form. You need to fill all the required fields and seller will get the information you provided at the same moment. The same functionality is available on the detailed page as well, You can also contact seller by clicking the button shown above.